After the demerger from Kingfisher, CEO Trevor Bish-Jones redefined Woolworths UK's strategy and target customer. He set about reshaping the store estate to his vision, opting to start with the large city centre stores, followed by the handful of remaining out-of-town Big W outlets. By doing this he was able to reshape over half of the total selling space under his control. The move pleased Analysts and Commentators, giving the impression to city dwellers and shoppers that the brand had moved up a notch. But it flew in the face of the economic realities of the business, established over many years. A remarkable 90% of retail profits had been generated by the small stores in local High Streets and rural towns since World War II. These locations had less competition, a loyal following of shoppers and provided a convenient solution locally, without the need to travel. Between 2000 and 2005 most received no investment at all, beyond the handing down of some ideas and fixtures developed in the larger branches. As profits started to wane, severe cutbacks were made to maintenance and cleaning budgets. Gradually these cash-cow outlets began to get shabby, until even the least observant customer couldn't miss the deterioration. Rather than giving them a lick of paint and a general refresh, (which might have been hard to capitalize under City rules) Bish-Jones proposed a much more radical solution. He devised a way to offer the full range from even the smallest and most remote branch, calling this 'elastic walls'. The idea was tested at Kingswood near Bristol, with mediocre results. The concept was extended nationally, but without modernising or updating the store fixtures and fittings. It became the last hurrah for the nonogenerian chain. With work on the large and medium-sized stores nearly complete, and the Kids and Celebrations strategy extended nationally, the focus turned to the out-of-town Big W superstores. Where possible the leases were sold on to supermarkets or discount fashion chains. But there were no takers for ten of the buildings, which were spread from Glasgow and Edinburgh in the North, Belfast in the West and Norwich in the East, to Bristol and Redruth in the South West. A profitable (or at least less loss-making) solution was required. They were renamed Woolworths and given a facelift that became known as '20/20'. The Norwich and Tamworth Big Ws were cut-down and refurbished. The new look, which majored on Kids and Celebrations was generally well received, but did not deliver an adequate return. The remaining stores got a less radical, budget makeover, as illustrated in our 20/20 Gallery, which features the store in Bristol Hartcliffe (Imperial Park). In 2005 attention was finally given to the 500 smaller stores. These contributed almost 90% of the 800-strong chain's profits. Reversing a step taken immediately after leaving Kingfisher, the CEO decided to extend the range available through catalogues and multi-channel retail. 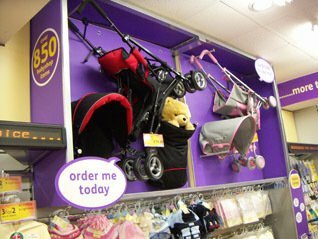 The concept was tested in the small local neighbourhood store in Kingswood, Bristol. 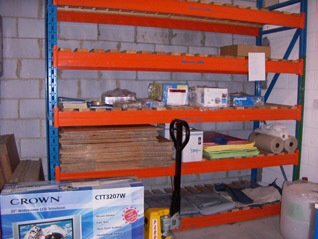 Trevor Bish-Jones, the Group CEO, tagged the concept as 'elastic walls', because so many things could be squeezed into the smallest of stores. Among other ranges it allowed every branch to offer a complete selection of music, video and games drawn from sister company Entertainment UK and books from another sibling, Bertrams Books Ltd.
self-service kiosks were deployed in the store to test a web-based in-store ordering system, initially offering the full music and video range from Entertainment UK. Signage had to explain the offer to shoppers, highlighting that much more was available than they could see on display. 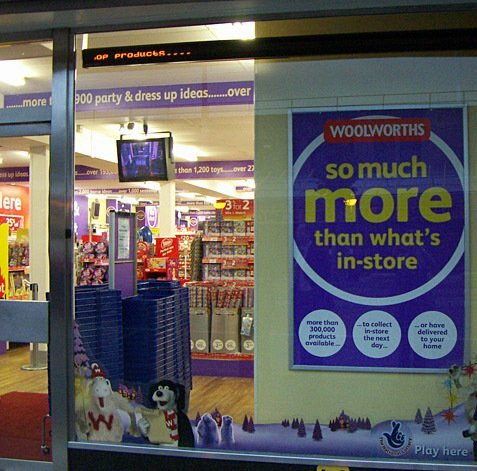 A range of media was used including cardboard point of sale, catalogues on feature stands, big flat screen televisions and scrolling dot matrix boards. The key message was that 300,000 items could be ordered and would be available to collect in-store within three days, with no delivery or handling charges. A new colour scheme and the extended range displays and signage gave the store a very distinctive look, but at a very high cost. A big uplift in sales would be needed to justify such a radical makeover in other small stores. Thirty individual departmental catalogues were painstakingly hand-made for the pilot. Team members had to photograph and describe the products, lay they out the pages on a PC, print the pages and get them laminated and hole-punched. 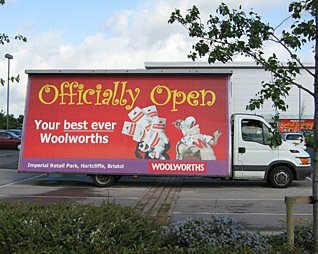 A team at the Imperial Park superstore were placed on stand-by to pick, pack and despatch orders, communicated by a shared system specially developed to support the Kingswood pilot. Sales were buoyant on opening day, with Kingswood customers responding positively to the facelift and appreciating the investment in their local store. But analysis revealed that almost all of the sales uplift was from staple items collected from the shelves. Just five to ten items were ordered each day from the extended range. This level of volume would be insufficient to justify rolling-out the expensive fancy shop-fit. The concept was only repeated in a handful of further small stores, each time with a slightly lower specification. After that just the underlying concept was rolled out, and communicated through banners and shelf-edge tickets in store. Counter-intuitively this much cheaper approach to implementation delivered a significantly larger number of orders, particularly after the launch of the 'Big Red Book' catalogue to show off what was available. If you would like to find out more about the short-lived 'elastic walls' initiative, you can see an album of pictures in our Kingswood Gallery.